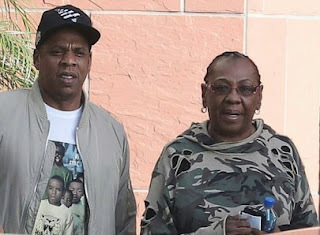 Rap superstar, Jay-Z, 47, has revealed that his mother, Gloria Carter is a lesbian. The 47-year-old rap star made this known in his 13th album, 4:44. Jay-Z revealed his mom, Gloria is a lesbian in one of the tracks, "Smile", in his newly release album " 4:44" where he featured Stevie Wonder. 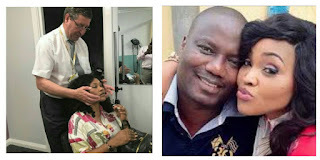 Mercy Aigbe's husband, Olanrewaju Gentry, 52, has decided to bury his pride as he publicly apologized to his wife of seven of years. 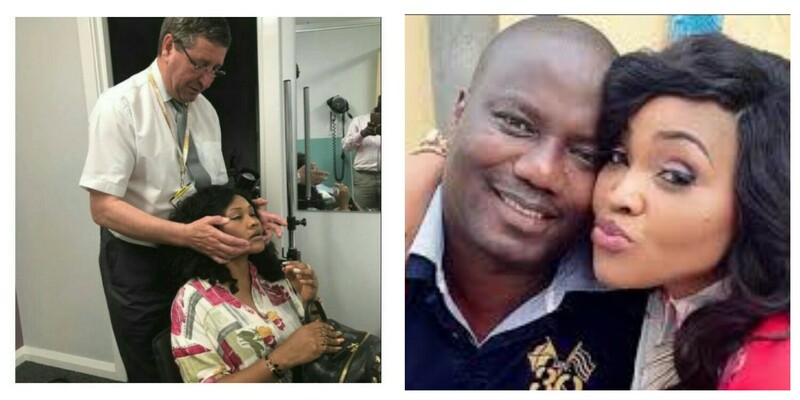 The disagreement between Lanre and Mercy Aigbe,38, raised lot of dust which eventually sent Lanre to Kirikiri prison for a week. "For peace to reign, I'm going to bury all hatchet and break the bone of contention between myself and Mercy Aigbe Gentry. I'm sorry to those who I've hurt with my actions and comment/words. Portuguese and Real Madrid superstar, Cristiano Ronaldo is now chilling with his twin baby boys in United states of America. 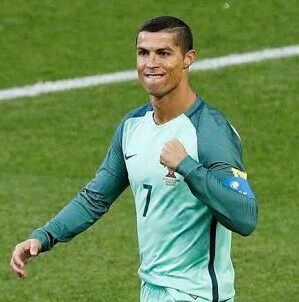 Ronaldo had left Russia where the Confederations Cup, 2017 is going on, Rinaldo's team was kicked out of semi-final match against Chile, their team lost on penalty shoot out. United Kingdom has deported 28 Nigerians for committing immigration-related offences in the country. 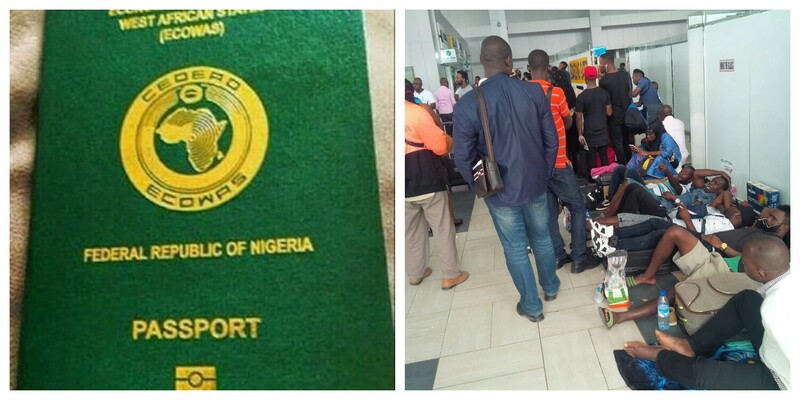 The deportees arrived at the Murtala Muhammed International Airport (MMIA), Lagos around 12:13pm on Thursday. 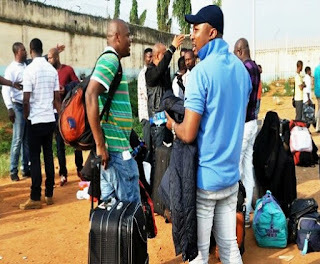 According to NAN, the Nigerians were sent back home barely 48 hours after 23 Nigerians were deported from Spain and five days after another batch of 34 were jointly deported by the governments of Switzerland, Germany, Iceland, Austria, Belgium and Hungary. DSP Joseph Alabi, spokesman of the Lagos Airport Police Command, confirmed the development to NAN. 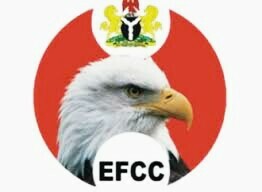 The operatives of Economic snd Financial Crimes Commission (EFCC) have arrested the wife of a civil servant, Mrs Esther Habu whom N603 million was traced to her bank account. 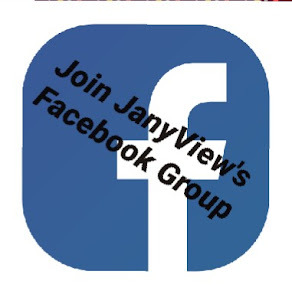 The husband, Mr Josiah Habu is a Director at Bio resources Development Center (BIODEC) branch in Bayelsa. According to investigation, a whopping sum of N603 million was traced to Esther in different deals involving over twenty directors of BIODEC across the country. 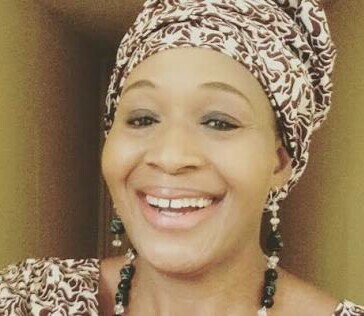 About N70 million was traced to her husband. Portuguese superstar, Cristiano Ronaldo has announced his exit from the ongoing FIFA Confederations Cup in Russia, although the Portuguese national team has been eliminated. The superstar announced his departure on his Facebook page, he said he was leaving the tournament early to go and stay with his new born twins who were born through a surrogate. 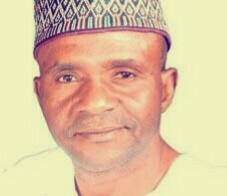 Former governor of Taraba state, Dambaba Suntai is dead. The former governor who survived plane crash at the Yola Airport in 2012 died on Wednesday, two days to his 56th birthday. He was born on June 30, 1961 and studied pharmacy at the prestigious Ahmsfu Bello University, Zaria. He enrolled for training as a pilot at the Nigerian College of Aviation, Zaria in 2010 where he was licensed. Sintai became the governor of Taraba state in 2007 and returned for the second term on May 29, 2011. The incident of his plane crash occurred in Yola, Adamawa on October 25, 2012. 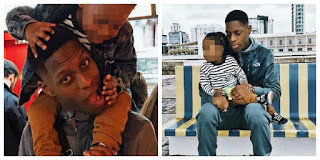 Investigation has revealed that the black guy, Edir Frederico Da Costa,25 who died after being arrested by police swallowed packages. The young father who was also known as Edson died after he was detained by police using force and CS spray. He was detained by Metropolitan Police men who stopped s car he was traveling in with two friends in Beckton, London. Edson had died in hospital on Wednesday, six days after he was detained. Some packages were removed by pathologist from Edson's throat, which were thought caused his death. Speaking on lunchtime magazine show, 'Loose Women', Katie Price,39, said she is too energetic for older men. She says she prefers younger men because older men can't handle her. Katie who is a mother of five said "Well I always go for younger guys because, number one, I think I'm quite young at heart and I just font think an older man could handle me, I'm just too energetic, it's true." It was revealed in her discussion that her former husband, Peter Andre who is five years older than her is the oldest of all the men she had dated. She added that her husband, Kieran Hauler is 9 years younger than her. 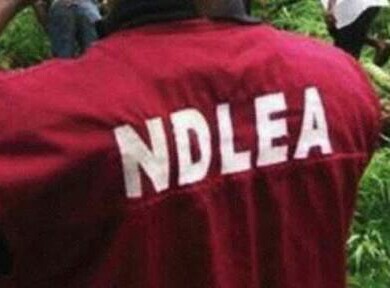 Women who were suspected to be drug peddlers have been arrested by the men of National Drug Law Enforcement Agency (NDLEA). The women who were three in number were apprehended at Badagry area in Lagos with about 4 kg of cannabis in their hideouts. The suspects are, Sade Oyewole, 44, Kadijat Mojeet, 36, and Adesola Kolawole, 30, they were arrested following the complaints from the members of the public. Twenty-three Nigerians have been deported by deported by Spanish government. The 23 deportees were sent back to Nigeria on Tuesday about 6:40 am at Murtala Muhammed International Airport (MMIA), Ikeja, Lagos. The deportees, 21 males and 2 females were deported based on three offences, namely; drug offence, criminal and immigration related offences. The deportation came five days after 34 Nigerians were sent back from 6 European countries. 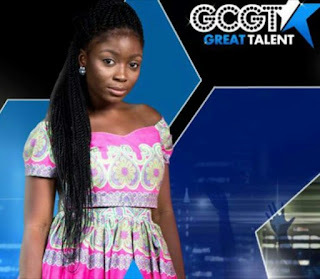 An undergraduate student of University of Benin ( UNIBEN), Esther Benyeogo,19, has won the season seven of the God's Children Great Talent (GCGT) which took place at Eko Convention Center, Eko Hotel , Victoria Island, Lagos. As the winner she got N10 million, N250 million management deal and a brand new car, 8-year-old saxophonist, Anderson Peter got the second prize of N3 million and the third position went to a singer, Nengi Jaja who got N1 million. Former president Olusegun Obasanjo's son, Olujonwo and the daughter of billionaire brain behind premier lotto, Kessington Adebutu ( Baba Ijebu), Temitope who got married on May 13, 2017 are presently in Monaco, France for their honeymoon. The lovebirds will be in Monaco for two weeks honeymoon. Presently they are at Monte Carlo Beach Hotel having nice time. Olujonwo and Temitope were planning a honeymoon trip to United Kingdom in July but because of their busy schedules they had to embark on the Monaco trip. 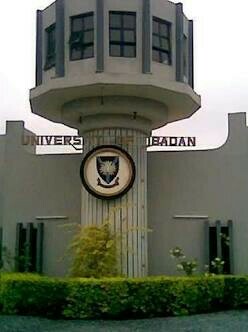 University of Ibadan has been scheduled to reopen on July 2 and examinations will commence on July 4 for the 2016/2017 academic session. Recall on May 29, the students of the institution were asked to vacate the school due to the protest staged by the students over the ban on the use of hotplates and other electrical appliances in the hostels. Students in the institution will be allowed to enter and sit for the examination when their course registration forms with their passport photographs affixed are presented. 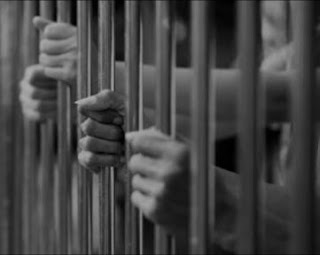 According to NAN about 672 detainees were released from Syrian prisons on Saturday, a day ahead of Eid el-Fitr feast. Syrian Arab News Agency, SANA, said the detainees were from several Syrian provinces and were released to further reconciliation in the country. According to SANA, Justice Minister Hisham Mohammad al-Shaar said that the legal status of 672 persons, from various governorates, has been settled and they were released after pledging not to carry out any act that violates the security and stability of the country. Twitter users yesterday blasted Senator Dino Melaye over his tweets which he said that dead people were among those who signed the petition of his recall. 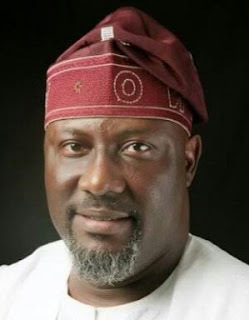 Senator Dino Melaye has filed a case against the Independent National Electoral Commission (INEC) over his proposed recall by his constituency. The senator rresent ing Kogi West in the National Assembly said he filed the case on Friday at the Federal High Court inAbuja. Dino Melaye made this known on his twitter page, he also alleged that that dead people were among those who signed the petition of his recall. Botswana has been thrown into mourning mood as their second president, Ketumile Masire died at the age of 91 years. He died at Bokamoso Private Hospital on June 22, 2017. Masire was born on July 23, 1925 in Kanye, Gaborone. He was knighted by Queen Elizabeth II in 1991. After Botswana's independence in 1966, he became the first Vice President and later became the second president of Botswana in 1980 when he replaced President Seretse Khama. 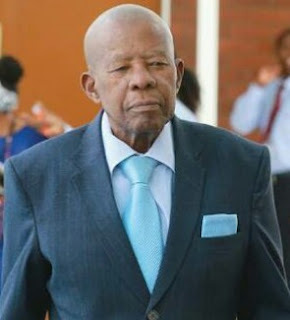 Late Masire was replaced by his Vice, Festus Mogae. Six European countries have deported thirty-four Nigerians for committing immigration related offences. The deportees arrived Murtala Muhammed International Airport (MMIA), Lagos yesterday early in the morning. The deportees who were brought to Nigeria in a chartered Airbus Panorama Aircraft comprised of 2 females and 32 males. The deportees were deported from the following countries, Iceland, Germany, Switzerland, Hungary, Belgium and Austria. The Lagos Airport Police spokesman, DSP Joseph Alabi confirmed the arrival of 34 deportees, he ssid; "This morning, we received 34 Nigerians who were brought back from Europe. They were made up of 32 males and 2 females." 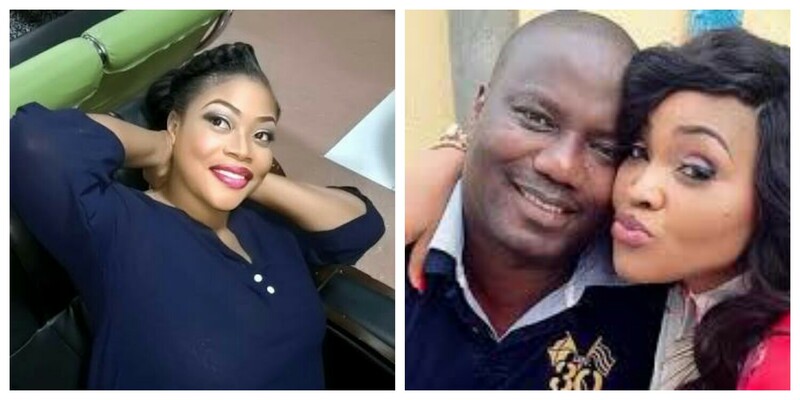 Nollywood actress Bimbo Akinsanya has debunked the allegation of marrying her colleague's (Mercy Aigbe's) estranged husband, Olanrewaju Gentry. She said the rumour that has been flying on social media is not true. Bimbo described those carrying such news as mischief makers trying to cause misunderstanding between her and Mercy Aigbe. 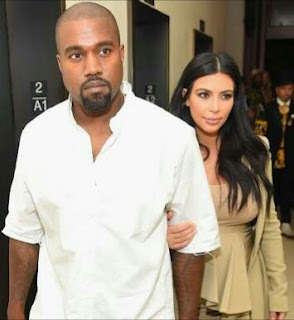 Kimkardashian and Kanye West have hired the service of a surrogate mother for the birth of their third child due to the sickness suffered by Kim. The sickness is known as placenta accreta. The sickness called "Placenta Accreta" is a health condition where the placenta attached too deep on the uterine wall but it does not penetrate the uterine muscle. He said that the affected banks had rolled out a lot of viable options to Etisalat for the loan to be restructured, but was rejected by the company. 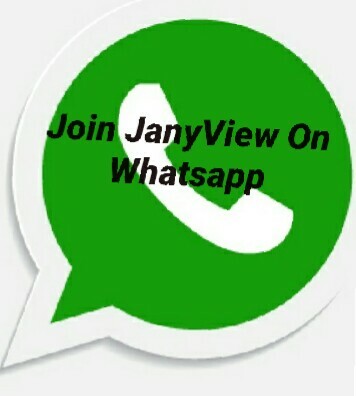 The source said that the banks were not into telecommunications and had no intention of running Etisalat. “All we want is to recover the loans; we cannot write off the loans as being demanded by Etisalat, because the company is viable,” the source stated. National Agency For The Prohibition Of Trafficking In Persons (NAPTIP) has arrested notorious human trafficker, Rhoda Omorogie, 45, also known as Mama Bobo in Edo State. From report, it was revealed that Mama Bobo is a nurse by profession who hails from Oredo Local Government Area in Edo state was arrested by NAPTIP around 5 am at her residence. 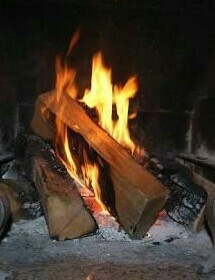 Alex,37, has killed his mother, Mrs Florence Ederiene, 59, with firewood at Agbarha Otor community, close to Ughelli in Delta State. Alex had killed his mother for allegedly refusing to pay his son, Godstime, who happens to be a grandson of Mrs Florence Ederiene. According to Vanguard, Commissioner of Police, Mr. Zanna Ibrahim, said that the police were alerted about the murder of Mrs. Florence Ederiene by a sister to the suspect, Blessing. Adele, 29, British singer had visited Grebfall Tower, the site of the fire incident on Thursday not up to 24hrs after the fire incident to comfort them. 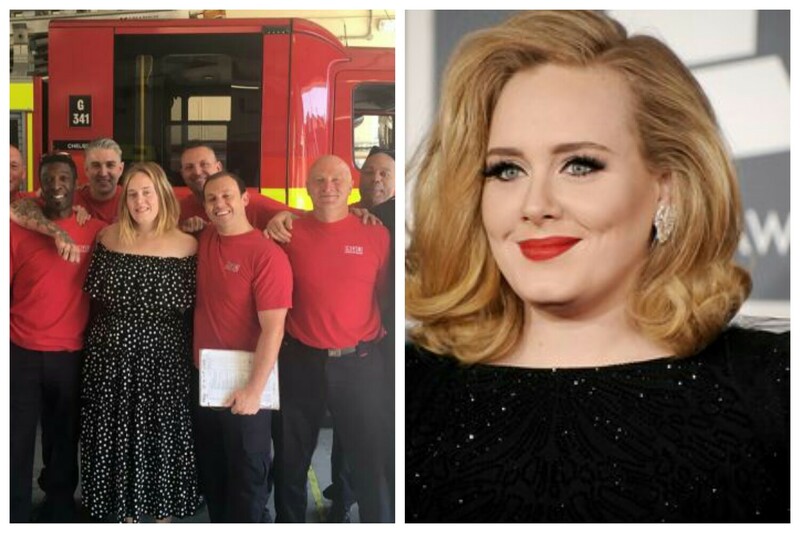 The pop star stopped by at Chelsea fire station yo pay the firefighters a surprised visit with cake to thank them for their efforts at Grenfell Tower, the incident that left people dead while some were injured. 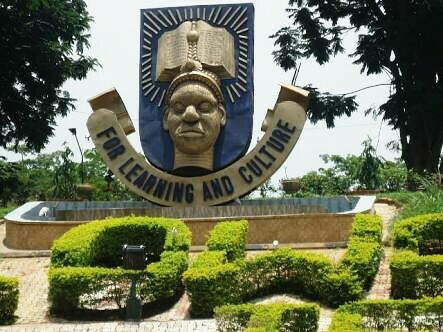 A pharmacy student of Obafemi Awolowo University (OAU), Ile-Ife has been reportedly drowned in a swimming pool of a hotel outside the school premises. The 300 level student of OAU, Emmanuel Fatile had gone to the swimming pool in company of his two friends on Monday when the sad incident happened. 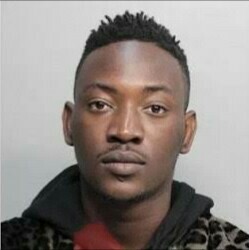 Nigeria pop star, Oyindamola Emmanuel Johnson-Hunha,23, popularly known as Dammy Krane's was involved in a credit card scandal in Miami. U.S.
Krane's problem started on 1st of June this year when he used bogus credit card to book a private jet flight to Washington DC, when he was arrested at Opa-locka Executivr Airport in Miami Dade and searched was conducted, seven fake credit cards were found in his pocket. The Police Special Fraud Unit (SFU), Lagos, on Sunday expressed concern over increasing number of Nigerians allegedly involved in using fake document to seek for Italian visa. Spokesman of the unit, ASP Lawal Audu, disclosed this in Lagos on Sunday in an interview with the News Agency of Nigeria (NAN). He said the Italian Embassy sends an average of 50 Nigerian Passports with fake document to SFU monthly. Audu noted that before now, Canada used to complain of such high numbers of fake document, adding that attention had shifted to Italy now. 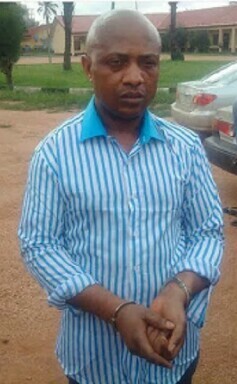 Chukwudubem Onwuamadike also known as Evans who was recently arrested in Lagos has been responsible for some of the high profile kidnappings in Lagos and some other places. Evans debunked the allegation by his father that he has not been taking care of him. He said he has not seen his father for a long time but he has been taking good care of him by buying him two vehicles, which are in his compound in the village, he also collected sum of N3 million which he used to start his fish farming and pig rearing business. Evans added that he used to help his family members a lot including children of his father's other wives, saying that his father lived a wayward life that made him divorce his mother. 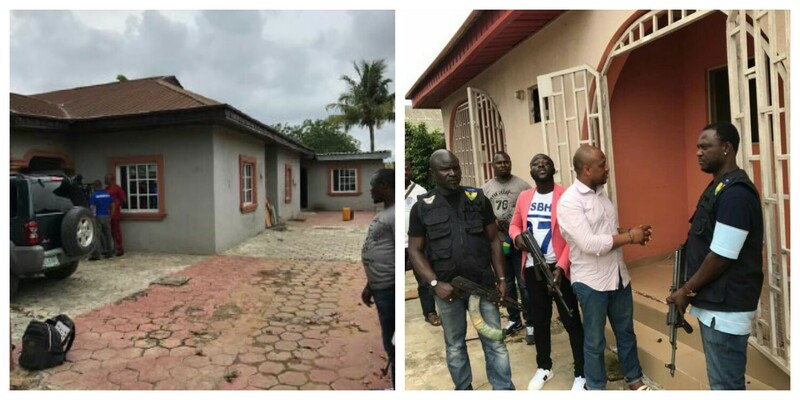 The news of Evans the kidnapper and his gang is amongst those making headlines, the notorious kidnapper Chukwudubem Onwuamadike popularly knowns as Evans who had been terrorizing lives of many people in Lagos, Anambra, Benin and Enugu led police men to his houses at Igando and Ejigbo both in Lagos state where he used to keep his victims. During the visit to Evans den at Igando located at Green Street, he said that he kept five persons that were kidnapped, amongst are Chief James Uduji and Francis Umeh. He explained that he left the Igando house when people in that area had started suspecting fowl play. 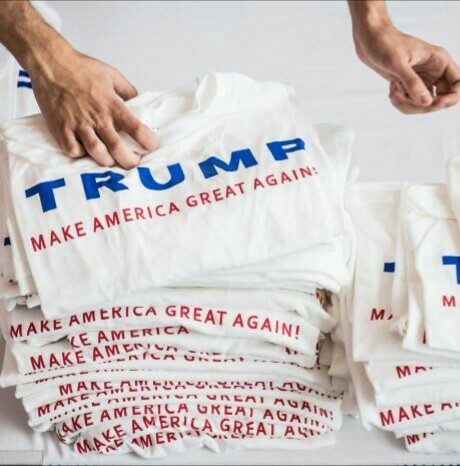 Wall Township High school teacher whose name is not mentioned has been suspended over the alleged removal of references to President Donald Trump in their school's yearbook photos. The school is located in New Jersey, U.S. The school has started investigating the alleged censorship, which the school management said represents a "possible violation of First Amendment rights." According to the school management, the allegation is being taken very seriously and a thorough investigation of what happened is being vigorously pursued. Footballers in Europe are on break, most of them are enjoying their holidays with families and friends. In few weeks the players will be resuming back for new season. 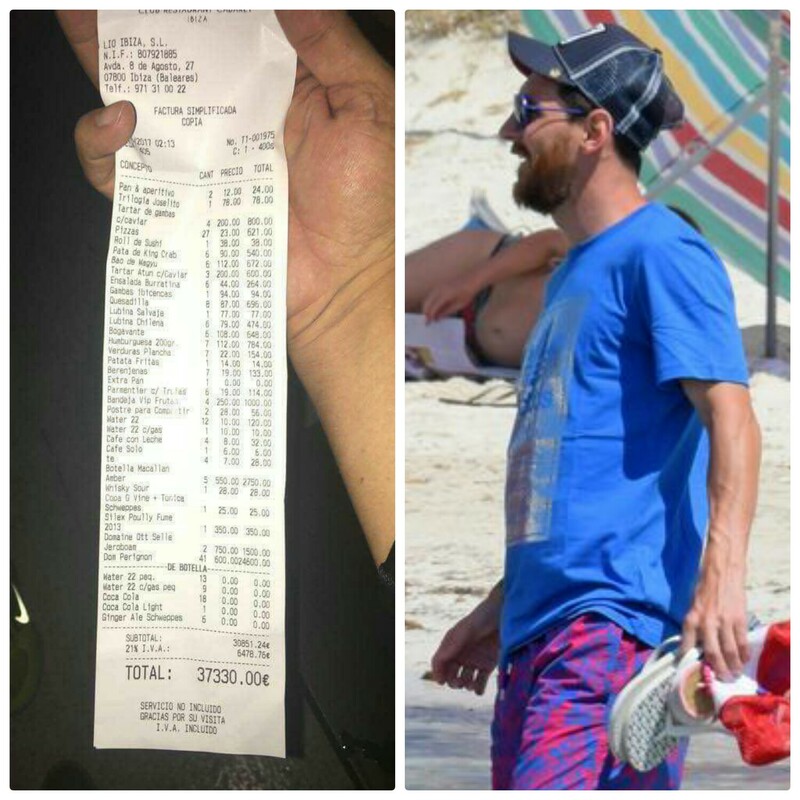 After long weeks of play and stress, Argentina forward, Lionel Messi has been enjoying his holiday with friends and family. Messi was at Ibizain company of his friends, Barcelona teammate, Luis Suarez and former teammate Cesc Fabregas who now plays for Chelsea football club in England. French- Canadian singer, Celine Dion, 49 looking great without make-up as she stepped out in Paris, France. The R&B singer was spotted yesterday as she was leaving the Royal Monaceau hotel in Paris. She looked stunning in a simple outfit of ripped jeans, heels, a white T-shirt and long black jacket. The singer, who is a mother of twins also took time to advice Beyonce ahead of the birth of her twins. As part of effort to educate the students of the South-eastern part of Nigeria the history of biafra, the Indigenous People Of Biafra (IPOB) has started encouraging svhools in that region to teach students the history and geography of Biafra. The leader of IPOB, Nnamdi Kanu had written to schools in that region from nursery to the university to go back to original geography textbooks with right of Biafra in it. He promised that schools that follow the directive would be given grants for scholarships. 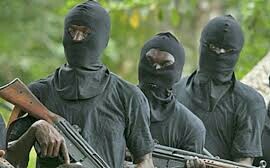 Three students and a lecturer of the School of Midwifery in Tudun-Wada area of Kaduna state were kidnapped on Friday by unknown gunmen. The students of the School of Midwifery and their lecturer were traveling in a bus to visit their colleague at the hospital in Birnin-Gwari when they were intercepted by the kidnappers. There were no less than twenty students in the bus that was taking them to the hospital before three of them and one of their lecturer were abducted. Till now they are still in the custody of the kidnappers. 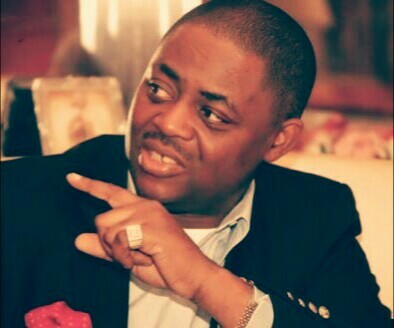 Youths For Change NG, an umbrella group of youths committed to enthroning decency in politics, has called on former Minister Femi Fani-Kayode to stop his penchant for resorting to the use of base and abusive language in public discourse, saying such behaviour has no place in the Nigeria of their dreams. In a statement issued in Lagos on Sunday by its National Leader, Mr. Seun Bobade, the group said the tweet credited to Mr. Fani-Kayode on Saturday when he was reacting to comments by the Minister of Information and Culture, Alhaji Lai Mohammed, during a television programme, is unbecoming of a man who is supposed to be a father figure to all youths and who once served as a government minister.